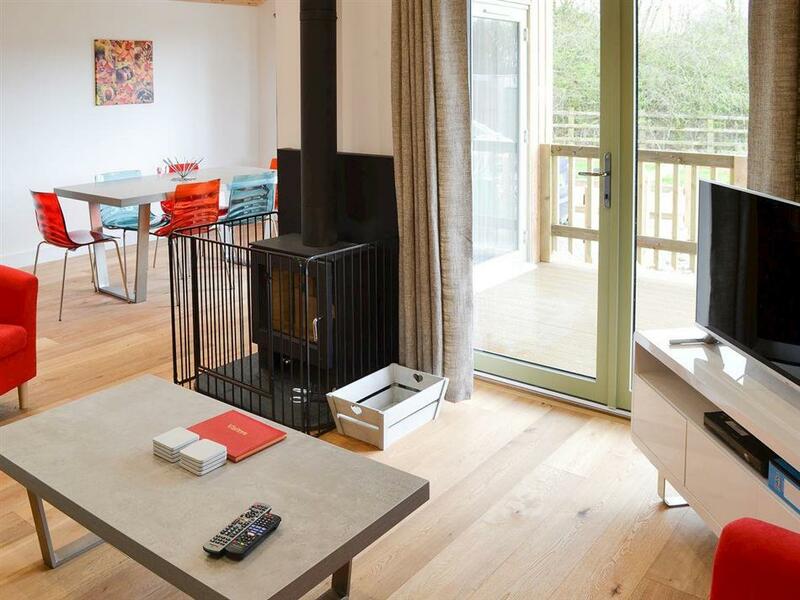 Golden Eagle Lodge in St Columb, near Padstow, Cornwall sleeps 6 people. 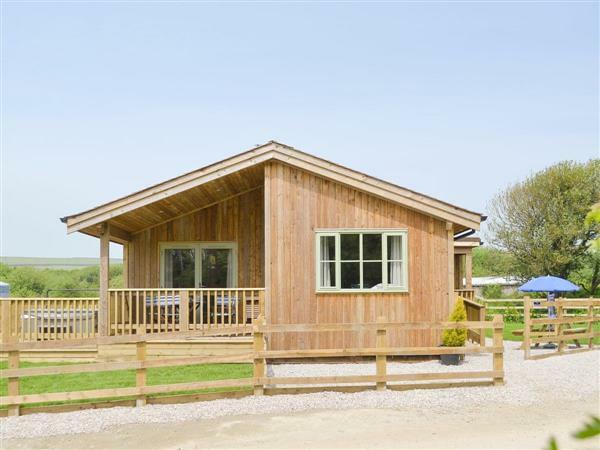 Golden Eagle Lodge near Padstow is a detached timber lodge which has been built and finished to a good standard and sits amongst other lodges in the grounds of a birds of prey attraction in Cornwall’s countryside. Guests at Golden Eagle Lodge can pay a small fee per family and have access to the attraction for their stay. The two fishing lakes on site are available to guests for fishing, a picnic or a leisurely stroll. Literally across the road from the lodge is a spa with treatments available, a waterpark with wakeboarding and an aqua park. There are many golf courses local to the lodge including Merlin, Trevose, the Point and St Enedoc for all the golfers that have longed to have a view of the ocean while getting a round in. Just minutes from both Newquay and Padstow, and with many excellent beaches close by Golden Eagle Lodge is a great place to base yourself for your Cornish holiday. The beaches of Mawgan Porth, Porth, Tregothan and Constantine are all easily reached. The town of Padstow, home to Rick Stein’s foodie empire, has plenty of places to eat but also many things to do such as cycling the Camel Trail along a flat trail that hugs the shoreline, and bike hire is available either in Padstow or in Wadebridge. You can take sea fishing trips from the working harbour and if you’re lucky you will see dolphins in the bay. A ferry across the estuary will bring you to Rock and you can spend a day on the white sandy beach or walk the coastal path to Polzeath and take in St Enedoc Church, the final resting place of Sir John Betjeman. Newquay with its surf culture, and amazing beaches, is also easily reached in minutes and has many attractions including a zoo, cinema, tennis club and working harbour, but the main attraction of this vibrant seaside town is any one of its nine beaches all with beachside cafés and bars to watch the stunning sunsets across the bay. Surf hire and surf lessons are available throughout the town at one of the many schools. The beach is 5 miles from Golden Eagle Lodge near Padstow. With the shop 2 miles, and the pub & restaurant are ¼ mile from Golden Eagle Lodge. Living area: With wood burner, 40 Freeview Smart TV, DVD player, CD player, bluetooth speakers and French doors leading to veranda. Kitchen area: With electric oven, ceramic hob, microwave, fridge, freezer, dishwasher and washer/dryer. Bedroom 1: With double bed, Freeview TV, DVD and en-suite with shower cubicle, toilet and heated towel rail. Bedroom 2: With double bed, Freeview TV and DVD. Bedroom 3: With twin beds, Freeview TV and DVD. Air source underfloor central heating, electricity, bed linen, towels and Wi-Fi included. Initial logs for wood burner included. Cot and highchair. Welcome pack. Enclosed lawned garden with patio and garden furniture. 15-acre landscaped grounds (shared with owners and other properties on-site). Hot tub for 6 (private). Coarse fishing on-site (at an additional cost, licence required). Private parking for 2 cars. No smoking. Please note: Couples and family bookings only. The property has a natural water supply from a borehole. There are two unfenced fishing lakes in the grounds, 100 yards away. Holidays at Golden Eagle Lodge run from Friday to Friday. For a better idea of where Golden Eagle Lodge is, you can see Golden Eagle Lodge on the map below. Golden Eagle Lodge is in Cornwall; should you be on the lookout for a special offer, you can find all the special offers in Cornwall. It's always worth checking to see what is on offer at the moment. Do you want to holiday near Golden Eagle Lodge (UKC3326), you can see other cottages within 25 miles of Golden Eagle Lodge; have a look to find your perfect holiday location.